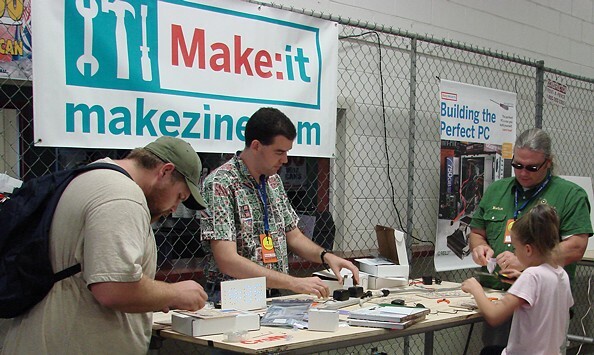 Hands on demos of our popular kits were shown at the Maker Faire in Austin, Texas on October 20-21, 2007. Read the press release and one Maker's story. Above: four Makers assembling LEDkit.biz clocks at the Faire. As seen in electronics magazines! Nuts & Volts is the leading magazine for those seriously interested in electronics. There now remain only a few magazines written for the electronics community with Nuts & Volts being the highest readership, longest running electronics publication left in the US today.